The bus only came with one key so without any fobs I’m missing out on the keyless ignition benefits. Recently I managed to pick up a blank key blade with a chip as well as a used fob for not a huge amount of money (certainly a lot less than a main dealer would charge). My Silca programmer came today so I plugged it in to the OBD2 port and paired the fob to the immobiliser. Took all of three minutes to do it. I’ve found that by locking the bus with the fob or the button on the outside of the door it automatically folds in the mirrors too. They unfold when the ignition is turned to ACC. Sweet! So now I don’t have to use the key anymore and it’s safely tucked up in the fob. love the elgrand i also find out that if your car comes with lots of watermarks on side windows and front ,best to use is metal polish with a microfibre cloth rub in 2 times and easy polish motion application. it took me 3 months to find this info ,i tried everything for watermarks and windows ,and this works 100 %. Hi, we also had only one key when we got our E51 5 years ago. Still have only one. Could you give me some further detail about how you did your new key? Which Silca product did you use? Does the fob for a keyless start Rider have the same sort of immobiliser set up as our E51 Highway Star? 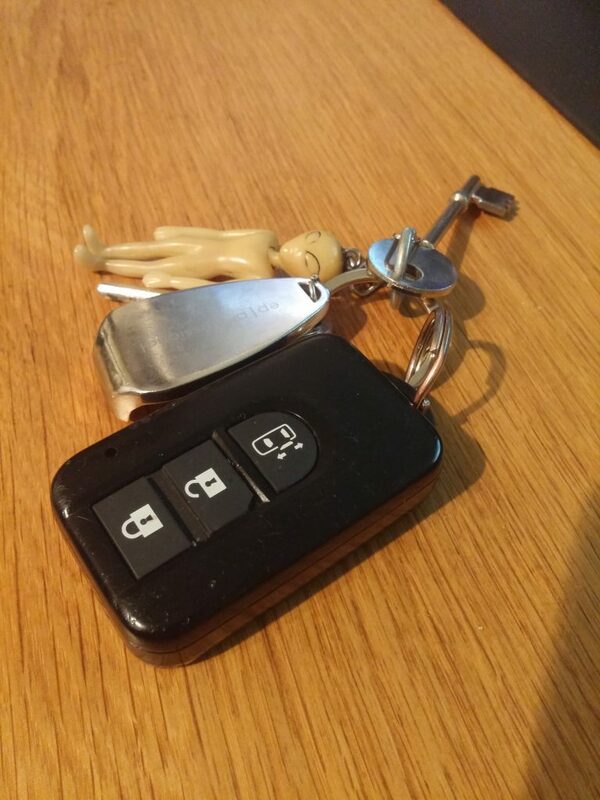 That is, there is a small magnet (I think its a magnet) in the actual key fob, and it is paired to the immobiliser so that the car won’t start unless its “recognised”. We went to the expense of ordering a second key through Nissan Japan with the promise that it would work (had to supply some codes off the steering column at the time), and guess what? No, it doesn’t. Sure, we can lock and unlock the vehicle, just can’t start it with the new key. I’ll have to check which model Silca programmer I have. I’m pretty sure it’s actually a copy, but anyway, I’ve only managed to program a new fob to match the bus which went very smoothly. I would imagine (but don’t know for sure) that it is the same fob/immobilise for the HWS and Rider. I also think the fob has a chip in much the same way each key does. I do want to try and program the key soon but it feels a little more unnerving as I think I read that you have to program all of the keys at one. Again, I could be wrong and need to look into it in more detail.